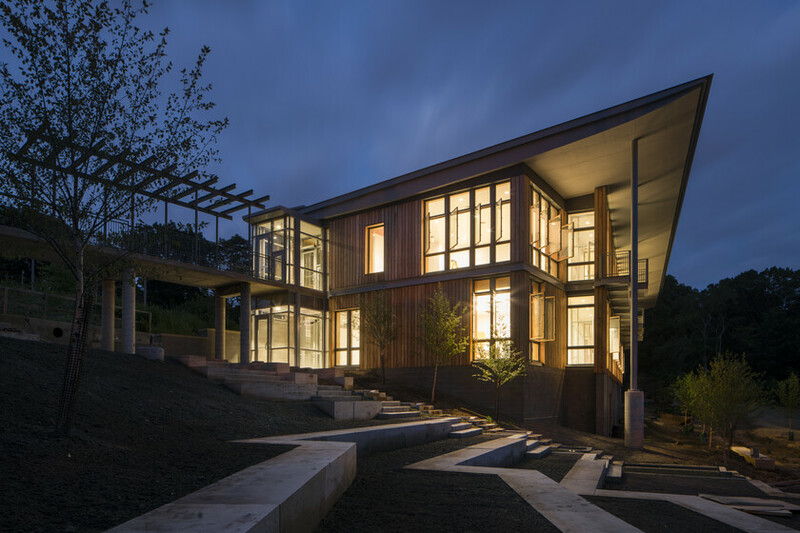 As a self-sustaining building and landscape, the new Environmental Center demonstrates how humans can remain engaged in the natural world surrounding them. 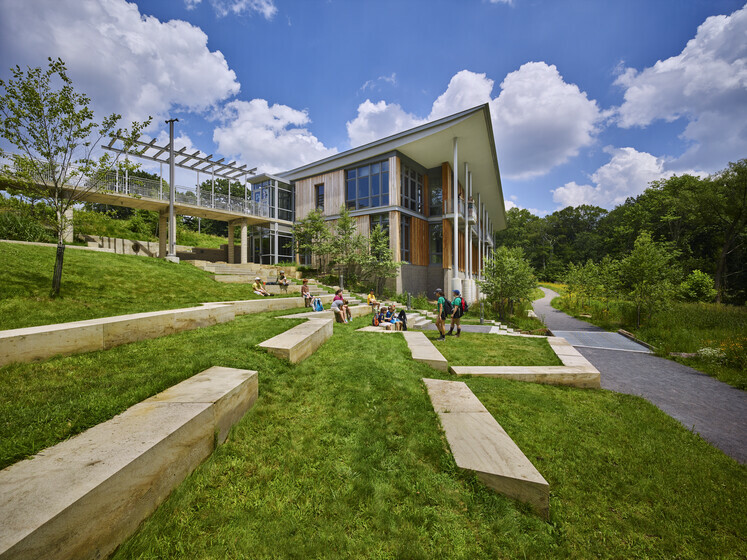 The LEED Platinum project is net-zero energy and net-zero water as defined by the Living Building Challenge. 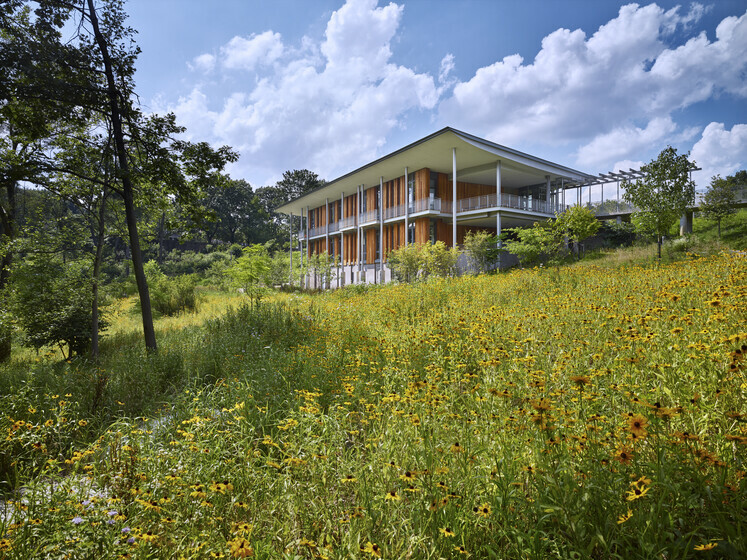 It also earned full Living Building Challenge Certification. 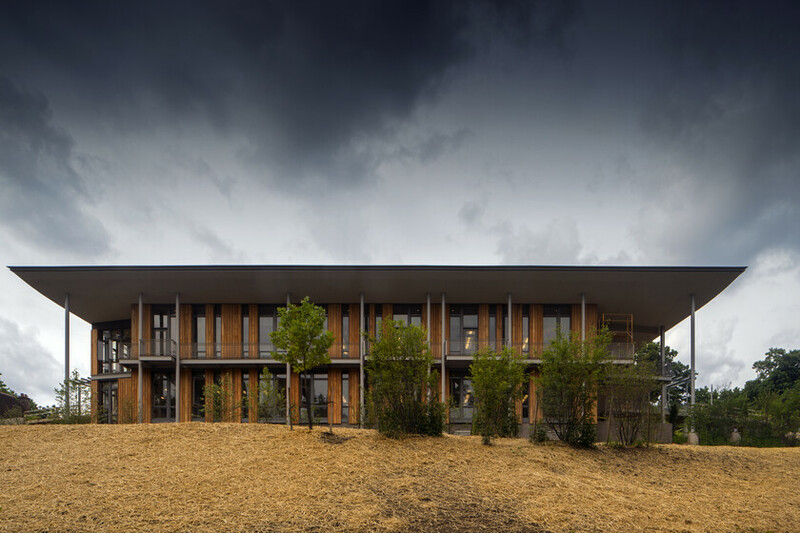 Atelier Ten worked with the design team to create a net zero facility whereby 100% of the project’s energy and water needs will be met. On-site renewable energy resources supplies all electricity, heating, and cooling demands. A 10,000 gallon storage tank collects enough water to supply the building’s gray water functions, site irrigation, and water feature on an annual basis. 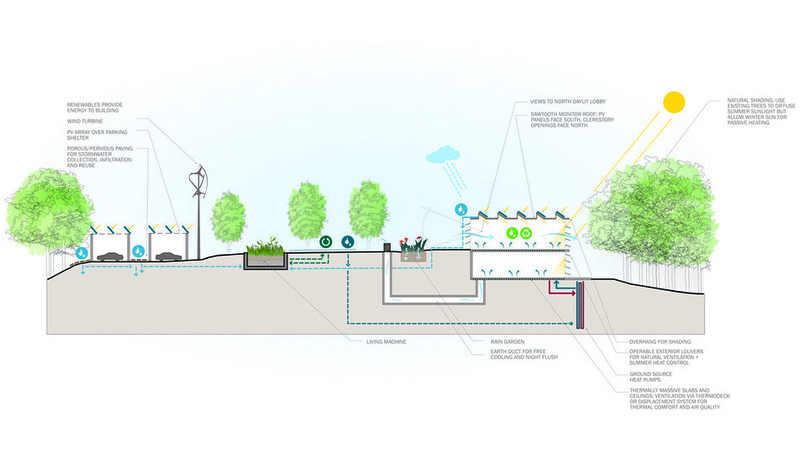 All other stormwater is infiltrated or used to replenish the adjacent wetlands. Energy efficient strategies incorporated into the design include ground source water-to-water heat pumps, dedicated outdoor air systems with energy recovery, radiant flooring, continuous daylight dimming controls in classrooms, open office, gallery, and living room, and occupancy sensors in every zone. Relative to the ASHRAE 90.1-2007 Baseline Design, the Proposed Design with PV reduces annual purchased energy costs by 100% and without PV achieves 38% savings in annual energy consumption. At night, the center becomes a luminous beacon at the entry to Frick Park. During business hours, the center balances carefully designed electric light with natural light. 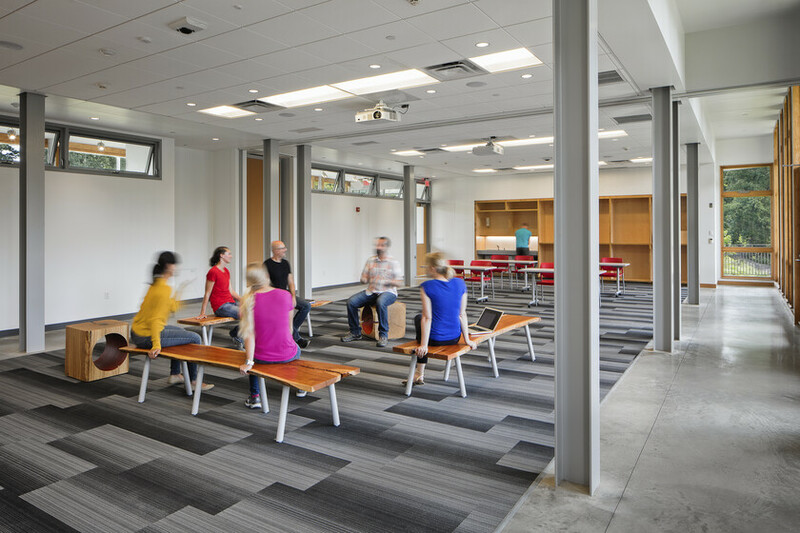 Luminaires are integrated into the architecture as building materials, subtly weaving through offices, learning rooms, and support spaces without interrupting the expansive window views of the park. The design of lighting systems specifies all American-made products to help minimize the project’s carbon footprint. 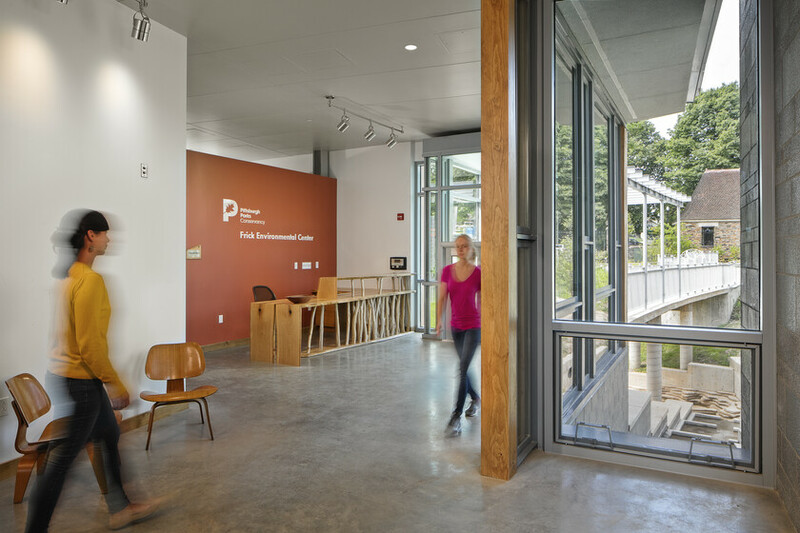 Juggling a conservative construction budget, an ambitious energy budget, and LEED program and Living Building Challenge product requirements, Atelier Ten successfully met all the project’s aspirations while creating attractive and functional spaces for the center’s employees and the public. The lighting system achieved a 17% energy savings with a lighting power density at only 0.83 watts/square foot.